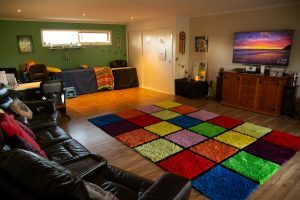 Rainbow Light Therapies is a registered provider for the NDIS for Counselling Services under “Improved Daily Living Skills” (Support Category 3.15). The National Disability Insurance Scheme is a new way of providing community linking and individualized support for people with permanent and significant disability, their family and carers. It is being rolled out by the National Disability Insurance Agency (NDIA), an independent statutory agency whose role is to implement the scheme.The NDIS will provide support for individuals 0 – 65 with a permanent and significant disability that affects their ability to take part in everyday life. This includes reasonable and necessary financial support based on individual needs and goals. Individuals and their families accessing the scheme will have planning meetings and access to Community Connectors to help them develop a plan. Plans are reviewed at least annually and are required to access services. Remember, you have choice and control in the delivery of your supports. This means having the choice over who provides your supports and how they are provided.The following sessions are available to registered participants as outlined on the Department of Human Services, NDIS website. $110 for up to one hour and $150 for up to 90 minutes. Email support and some phone support is also available in between sessions. The full fee applies to all appointments cancelled after 8am on the same day as your appointment. For more information on the NDIS please call 1800 800 110 or see the following links.